When I started reading it I could not stop thinking that the author would have to be incredibly good to make me love this story, but the book is quite long and before I knew it Darcy and Elizabeth were spending time together and gradually falling in love with each other, well…at least for Elizabeth it was gradual, so I had not finished reading it and I already wanted to re-read it to go back to the small details from the beginning that were no longer in my memory. With several new characters, plots, conspiracies and historical aspects we soon forget that Elizabeth deeply loved her previous husband and has a child, instead, we start focusing on the love she is growing for Darcy and all the beautiful moments they spend together. 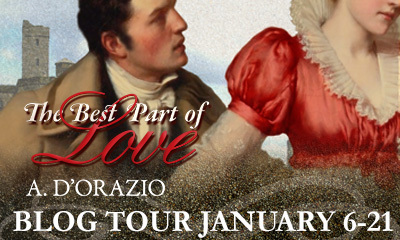 I don’t want to say too much because knowing what may happen and especially when it happens may spoil the book for you, but let me just tell you that Elizabeth’s love for her previous husband will pale in comparison to the love she has for Darcy and that is just what I needed to overcome my initial worries. 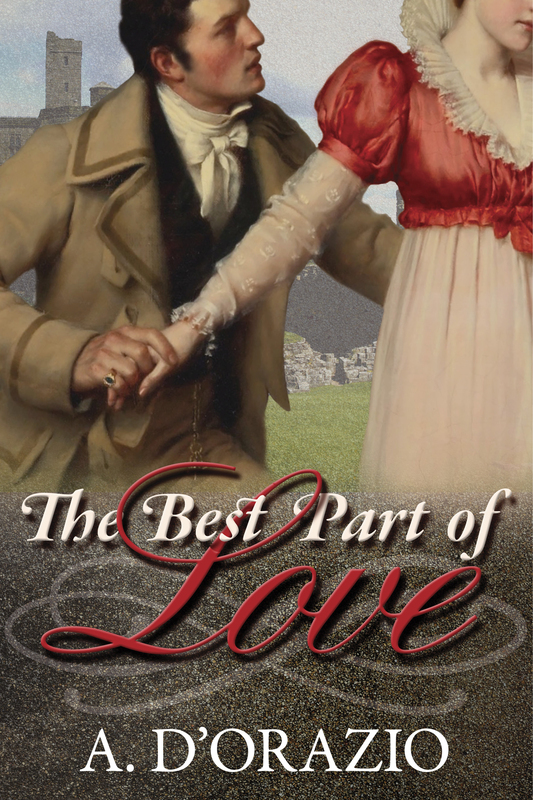 Elizabeth realises that what she felt was not exactly love, not quite…at least not an epic love, not the love she could only have for Darcy! Seeing her come to this conclusion was one of the best rewards I could have in this book. The book is long but not slow paced and the story and character development kept me interested from the beginning until the end. In fact, the book truly needed to have this length or it would not be as good. We needed to see the characters go through a certain path to understand how strong and deep Darcy and Elizabeth’s love is. The angst was expected and on several pages I kept thinking, “don’t say it, don’t say it, please just don’t say it”, of course they all said what I didn’t want to hear, so I just started thinking “this is not happening, this is not happening, this is not happening”. But it was happening and getting worse, with more moments than I can count when I felt like tearing my poor heart out! I don’t know how Darcy survived this, or Elizabeth! So when it comes to angst this book hits the charts and I just love that 🙂 If like me you love angst, this book is for you, but be prepared, some moments are just heartbreaking and you will probably cry a river. To enter the giveaway, click here! Haha, yes, I kept muttering ‘don’t say it’ to myself in those parts, too. This was a lovely read. Glad to read your review, Rita! I was really tapping in on that “curiosity” aspect of Elizabeth Bennet wasn’t I? Thanks Rita! That seemed to have been a brief trend for awhile, there were several posting on the boards where the HEA was NOT D&E — to each his own right?! I like to drag them through the angst but in my stories, D&E always end up together! Yes Rita I know what you mean about this storyline. I too would not have thought of reading it after seeing that Elizabeth was married and loved her husband. But every review I have read has been so positive that I just have to read it. (although your comments about the angst levels do have me worried so I must stock up on tissues before I buy it. I would love to enter the giveaway but fear it is a Rafflecopter competition and for some reason my phone won’t let me enter usually. Nevertheless I will try once more. Thanks for this post. To be honest, I am usually the first one to get out of ANY story where D&E have previous marriages/loves … I can’t cope with it, esp where Darcy has married Anne! So I get what you mean but hopefully my own bias made it all a little easier to swallow! Oh I love a good long book! It allows the author to bring together or untangle all the threads they have woven into a story. Looking forward to this amazing book! Wonderful review! Thank you ladies! I do tend to write long in general but like Rita said it was a lot of ground to cover! Lovely review! This story is one of my favorites! Congrats, Amy!! I’m currently reading it, and I love it more and more the further I get into the story. Great review! Love your review and your enthusiastic reaction to this wonderful story,Rita! Isn’t it great when a book moves you like this! Long may authors like this continue to pen such heartbreaking and emotionally exhausting stories that make us heave a huge sigh of relief when everything has been happily resolved!! So glad you enjoyed it!! Thanks for the review and the warning about angst. Glad to hear that the journey is worth it. Can’t wait to read! I can understand what you mean about being reluctant to read a variation where one or other of Darcy and Elizabeth have been married before and even had one or more children. I used to be a bit like that but having read some really good stories with exactly that premise, Rita, I have changed my mind. Maria Grace’s Remember the Past (widowed Darcy with two sons) and P.O.Dixon’s Darcy and the Young Knight’s Quest series (widowed Elizabeth with one son) are two such. What I personally find somewhat off-putting is either of them married to someone else at the start of the book but Brenda Webb’s Fitzwilliam Darcy, An Honourable Man has him already married at the start (but not in love with his wife) and that’s a pretty good tale too. Elizabeth married to Wickham is something I’d find very difficult to contemplate, though. So, Amy’s book doesn’t bother me in the slightest and from everything I’ve read and heard about it, I’m really looking forward to reading it. I love a good long book that I can really immerse myself in and as long as there is a HEA I can put up with any amount of angst. My angst threshold may have been tested a couple of times but never yet crossed. Thanks for your lovely review! Thank you Anji! I agree with you completely although I must say there is one book, Stronger Even than Pride where Elizabeth marries Wickham — oh man just thinking of it gives me shivers but it is SUCH a good book, really amazing. Its funny how we all have our *things* that we just can’t cope with! Angst? Did you say angst? Then count me in! Nothing I love more than seeing our dear couple in abject misery … because I know they’ll always have their happily ever after. How they get there is always the best part of any JAFF story! Now there is the spirit! I love some good angst too!! Thanks Janis! Loved this book!!!! Goodness, Rita, You’ve done such an amazing job of expressing your own love without giving anything away and it’s so hard!! I’ll try to avoid spoilers too and only say that the scenarios haunting the nightmares of devoted Janeites are brilliantly addressed in this book and make for an irresistible plot and an incredibly satisfying resolution. Loved loved loved it! !